Shipping is a crucial function of an e-commerce business. It is one of those common functions in the operations that is downright straightforward, but you cannot afford to make the pettiest mistake in carrying out the task. There is a lot at stake, your customer satisfaction, brand image, costs, and efficiency. 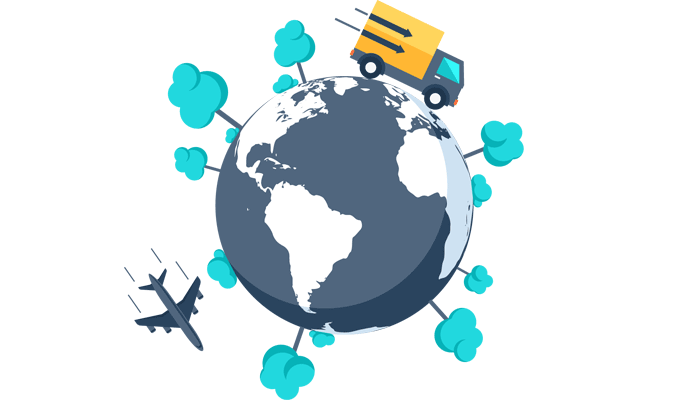 Irrespective of the nature of the business or its size, logistics is seemingly ordinary yet most critical function of them all to every e-commerce business owner. Efficient shipping affects both you and your customers positively. Offering free shipping to customers is a great thing, and a powerful marketing tool to achieve customer happiness. But, how? Constant free shipping erodes your profits margin. On the flip side, your shipping charges may disappoint the customers and lose orders from them. One way, to balance it out is fixing a certain base amount for domestic shipping. A clear shipping policy indicates the customers what to expect from your site when they are checking out to place an order. Their readiness to pay the amount removes the shipping fee barrier and eases the order placement process. On the other hand, you can add the shipping charges (either wholly or partially) into the product prices and offer free shipping. This way the customers are pleased to have bought from you without shipping fees, but you would have recovered the shipping cost, either entirely or partially. Whatever strategy you choose in the above scenarios, you must note that your profit margin should not suffer for the long run. You must also maintain competitive pricing of your products. It is a fine balance. But once achieved, it will ensure sustained business growth. Uniware’s warehouse management solution comes with the barcode supported system to identify how much profit margin you are marking on every product. The logistics companies revise their prices year-on-year. The pricing mainly goes on the weight of the parcel. Shipping companies charge more to pick and ship the product package that is heavier. You can reduce the weight of the overall package by revisiting your product packaging arrangements. Shipping discounts: If you can avail discounts on your order shipping, you save big and earn huge profit margin on every order. The negotiations must create a win-win situation for both the parties. The volume of packages and discounts go hand-in-hand. There are many regional and international logistics companies operating in the country. The logistics industry is very competitive. Every shipping provider is characterised with a specific strength, for instance, some have broader reach geographically, some work on competitive price points, some handle delicate items exceptionally well, and some are quickest in order fulfilment. Given the various plus points of the logistics operators, it takes a skilful analysis to shortlist the suitable logistics partners for order fulfilment. Uniware WMS comes pre-integrated with almost two dozen leading shipping providers. The in-built feature enables our client’s order fulfilment process to be quick, easy and efficient. Since the process of shortlisting the appropriate shipping provider and assigning the order fulfilment is automated, our clients get ample time to introduce innovative business plans and grow exponentially. The software assigns the shipping providers by pre-set guidelines and tracks order delivery in real-time. You and your customers get quick updates on the status of order delivery. Shipping plays a crucial role in the e-commerce business. There are many hurdles as well as opportunities to benefit from the scenario. Having an efficient and automated tool to manage the shipping function is critical to achieving customer satisfaction and higher profits.